Discover and venture Myanmar on a 14 day tour on the road, experience the best of Myanmar as well as the beauty and intrigue of Burma. Travel to Burma and discover a country of mythical landscapes, ancient treasures and some of the friendliest folk you’ll ever meet. From golden-gilded Buddhas in Yangon and the magical temples of Bagan to the tranquility of Inle Lake, Burma will excite, impress and intrigue you. 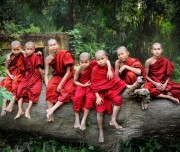 A visit to Burma is to experience the South-East Asia of twenty years ago, full of rarely seen sights and generations of stories just waiting to be told. 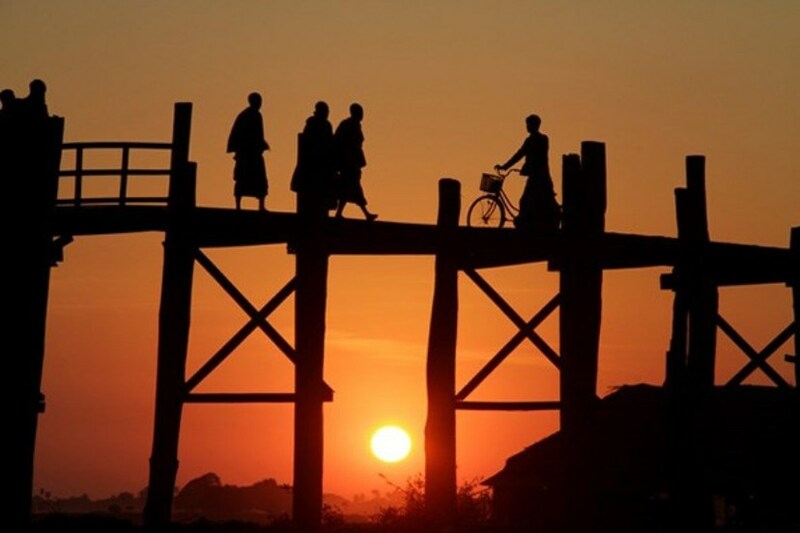 Come and discover a little bit of Burma magic with us. 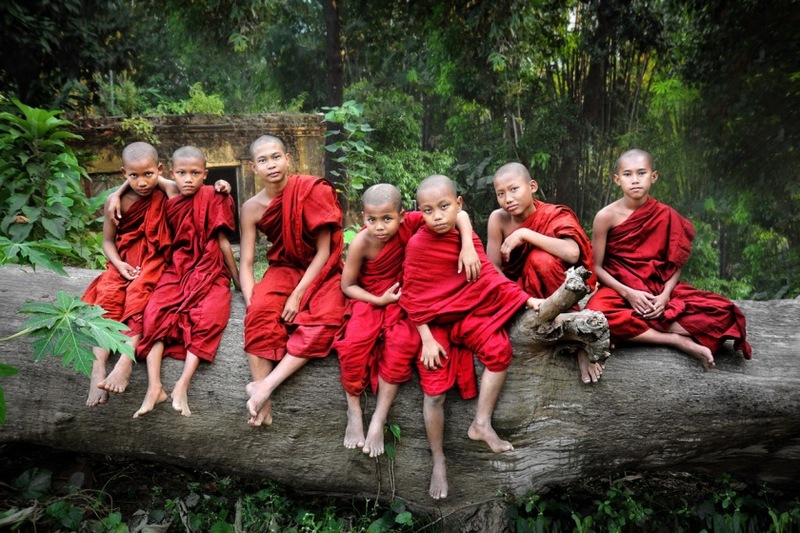 These are the best of Myanmar’s unknown images that you can’t wait to see. Book with us now!!! Arrival at Yangon airport, meet and transfer to your hotel. The rest of the day is at your leisure. Overnight in Yangon. Start the day with a city walking tour of Yangon. Your guide will show you the city center and some major attractions around town. 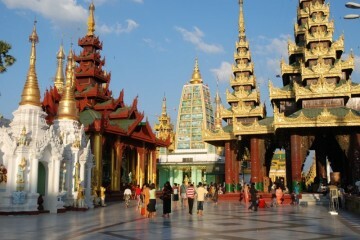 In the afternoon, you’ll visit the holiest shrine in the country, the Shwedagon Paya. This gold-gilded pagoda is studded with diamonds and gems, and said to contain eight hairs of the Buddha. It’s a particularly impressive sight at sunset when the lights come on and the stupa shines beautifully. You also head down to Kandawgyi Lake, where you’ll see Karaweik Hall, a reconstruction of a golden royal barge floating on the eastern side. Head out early today for your flight to Nyuang-U (about 1,5 hours). From there, transfer to the ancient city of Bagan (about 20 minutes). Bagan is an archaeological site where Theravada Buddhism was first introduced to the Kingdom. It was once the site of 10,000 temples, pagodas and monasteries and still has over 2,000 brick and gilded ruins. You’ll start your visit with an orientation tour of the town and visit the archaeological site tomorrow. After the orientation tour, head to the nearby Shwezigon Paya to enjoy sunset and perhaps a bite of local street food. Spend the entire day sightseeing in Bagan. You’ll be given a bicycle and toured through the site by a local guide. You’ll get to see many of the large and impressive temples such as Ananda Pahto, Dhammayangyi Pahto and Shwesandaw Paya, as well as some of the smaller hidden gems. Exploring the temple site by bike is a great way to take in the atmosphere of this amazing place. There are also many opportunities to climb stairs to vantage points and capture some magical views. After touring the temples, head back to the hotel for a short rest before heading out again to see the enormous Shwe Sandaw Temple at sunset. 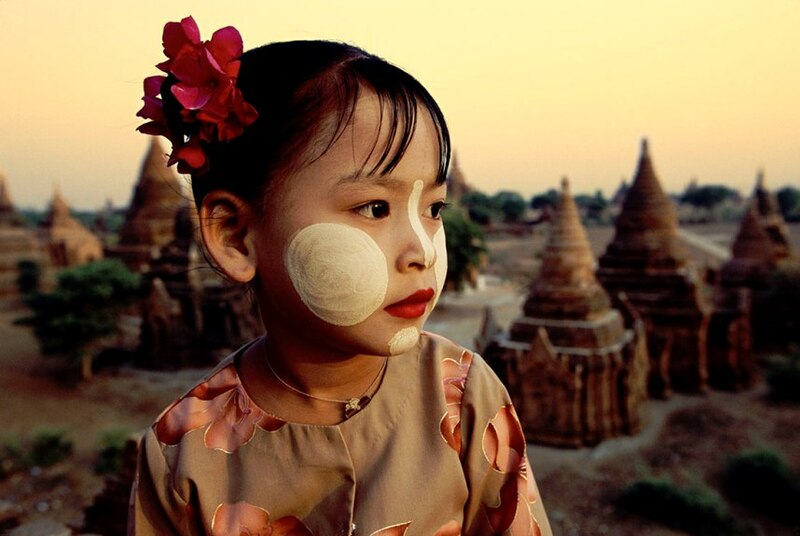 Enjoy a free day in the area of Bagan. You may like to spend more time exploring the stalls at the archaeological site, the cafes in town, or the nearby Nyaung U Market – one of the more interesting markets in the country. Other places of interest include the Archaeological Museum and the Royal Palace or another option is to take a day trip to Mt Popa, a mountain topped with monasteries and stupas. Enjoy incredible views from the top and make a visit to the strange shrine devoted to the 37 Nat spirits. Venture off the tourist path today to the town of Pakokku, about a 45 minute drive away. Meet locals and practice your Burmese as you explore the town and local market. Continue on to your next accommodation, a unique Community Lodge in the Pakokku district. You’ll be one of the first to experience this new community-based tourism initiative. Arrive at the Community Lodge for lunch and then head out in the afternoon on a bicycle ride around the nearby villages – another great opportunity to practice your language skills. Back at the lodge, have a group dinner. Notes: Accommodation at the Community Lodge is basic. You’ll be staying in simple twin share rooms, with share bathroom facilities. There is no air conditioning and only cold running water. Electricity is intermittent, so we recommend that you bring a torch and charge all your electrical items before arriving. You can expect your stay here to be wonderful and rewarding, but please remember that the project is only new and there may be a few hiccups along the way. The locals here haven’t had as much contact with tourists as in other areas of Myanmar, which will give you a very authentic experience of the country. Spend your last couple of hours with an early morning walk and breakfast, then hop on a private transfer towards Mandalay. 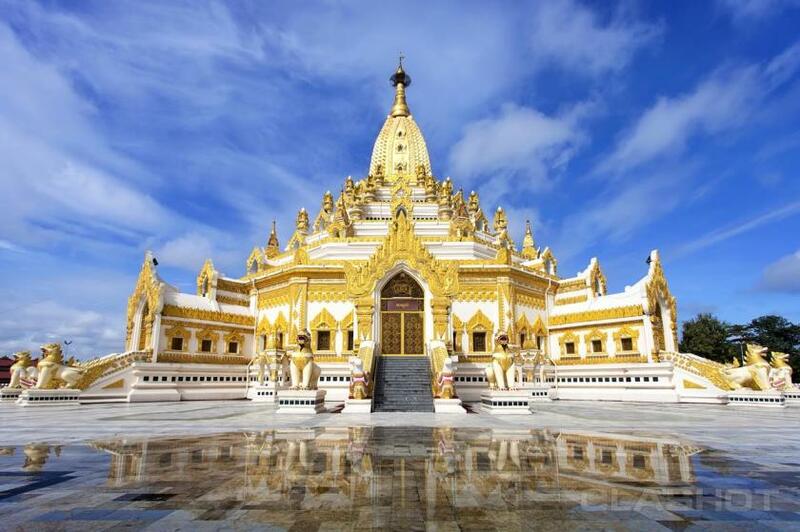 Along the way, you’ll visit the Sagaing Temples, a beautiful area sometimes referred to as ‘the Monte Carlo of Burma’. The Sagaing Temples are a collection of gold covered stupas on the nearby hills. Total driving time from Pakokku to Mandalay is about six hours. Once known as The Golden City, Mandalay was the last capital of the former Kingdom of Myanmar. Depending on the arrival time, you may have time to visit Mandalay Hill, which is where Lord Buddha is said to have left a footprint. Stay here for sunset and to enjoy views over the glittering stupas and vibrant mosaics of the city at this magical time of day. This morning you will take a walking tour of Mandalay. 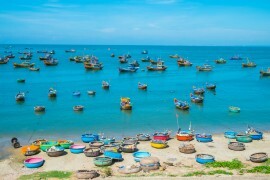 After seeing the town close up, you’ll take a boat down the famous Ayeyarwady River to Mingun. Here you’ll see the Mingun Pahtodawgyi, an enormous stupa which would have been the largest in the world if it had been completed. 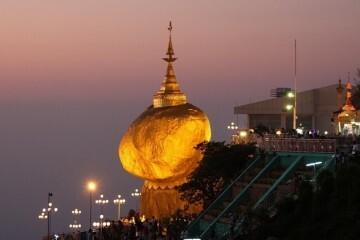 You’ll also see the world’s largest ringing bell and the beautiful white Hsinphymae Pagoda which sits nearby. After the excursion to Mingun, return to Mandalay where you’ll have some free time to do some optional activities. Perhaps find some quiet moments at the ancient Sweinbin Teak Monastery, or try your hand at gold leaf making in the Gold Pounders District. There’s also the Mahamuni Buddha Temple, an important pilgrimage site complete with giant golden Buddha. For some entertainment in the evening, why not catch a traditional show by the Mandalay Marionettes, or a non-conformist comedy show by the Moustache Brothers?. Today will be a long day of driving towards Kalaw. 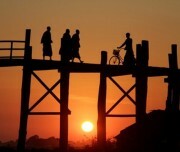 Along the way, you’ll visit the U Bein Bridge, the longest teak wood bridge in the world. You then head onto the Great Road of China, a new superhighway built by the Chinese. Finally, make your way into the mountains of Shan state and experience the stunning scenery of the area. Today is a full day of hiking around the hills of Kalaw. A local guide will take you to a tea plantation and some small villages. Stop and chat with locals along the way and have lunch at one of the small settlements. This experience will take you off the beaten track and away from the tourist throng. If there’s time in the evening, you might like to visit some of the lovely pagodas around town as well as a local market. Notes: While today’s walk is not difficult, you’ll cover about 20 kilometers in total and will be on your feet for most of the day. You’ll need a reasonable level of fitness for this part of the trip, and remember to bring appropriate hiking shoes. A support vehicle can be arranged to access the trails upon request from the halfway mark, so this means that you’ll need to be able to walk at least 10 kilometers unsupported. Start the day by heading out in a motorised boat. 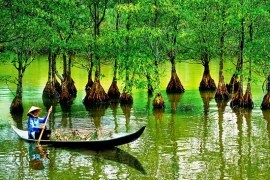 You’ll see local life on the lake, including fisherman who use a distinctive leg-rowing technique on their boats, floating tomato plantations and cottage industries such as silversmiths, weavers and cigar makers. 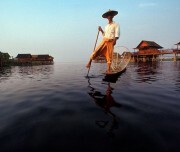 If you’re lucky, you might even see the floating market which circles the lake every five days. Here you can buy traditional wares produced by the locals. For lunch we visit Phaung Daw Oo Paya, the most religious site in the region. Eat near the beautiful pagoda and then take a quick look inside at the various images of Buddha. You can also see a golden barge which is used during Phaung Daw Oo festival. Make a few more stops at local villages to meet the locals, then head back to your accommodation in Nyaungshwe. 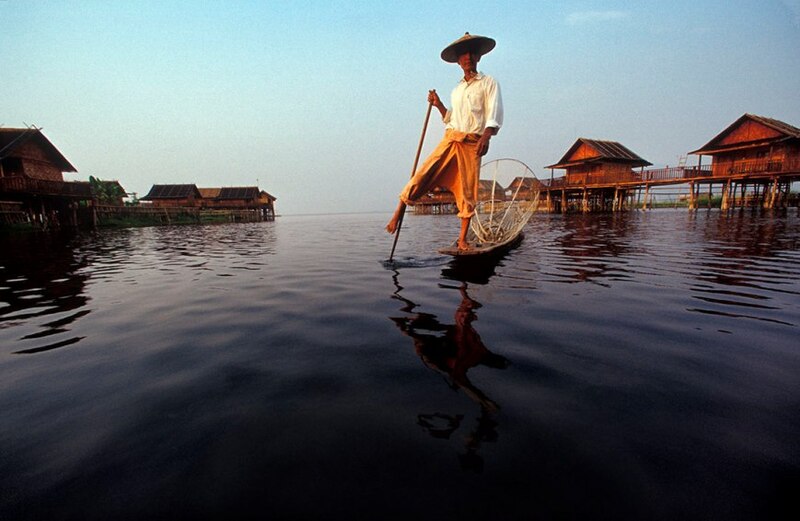 Enjoy a free day around Inle Lake. Perhaps visit the Mingala morning market or Nyuangshwe’s oldest Buddhist monastery, Yadana Man Aung Paya. For those wishing to venture further afield, you could hire a bike and cycle to the nearby hot springs, villages or temples. Perhaps join a tour to the Red Mountain Estate Winery or a boat trip to the Inthein villages. 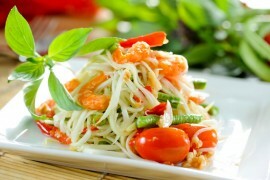 In the evening, enjoy a traditional Shan banquet. 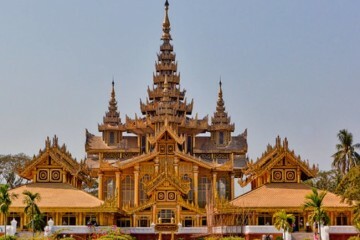 Bid farewell to the splendor of Shan state and make your way to the airport in Heho to take a one-hour flight back to the hustle and bustle of Yangon then you will take your connecting flight home.